Featured on Avaliving – Be Inspired. Chandeliers are not for grand mirrored dancing rooms and formal dining rooms any more. Today we have the freedom to place a fancy and ornate chandelier in a tiny bathroom, we can pair up an antique style chandelier with a modern décor and even install one chandelier or two in the center of a store. In fact, I have installed two red Murano glass chandeliers in a store selling garden ornaments, offsetting beautifully the white Mansard style ceiling of the store. One day I woke up and tasted the flavor of lighting. We know about the warm and cold tones of lighting and we know all about the functions of lighting, but how would we feel if we could add flavors to any lighting? In Italy, I found a company creating light fixtures with fruits and food, or with nature elements such as dragonflies and fireflies. 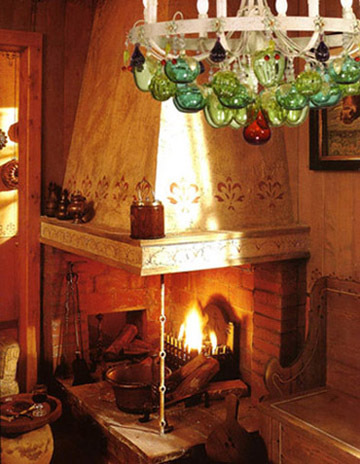 Imagine a glass green apples and figs hanging from a painted steel frame as the perfect chandelier for any kitchen, especially if set next to an old time fireplace. 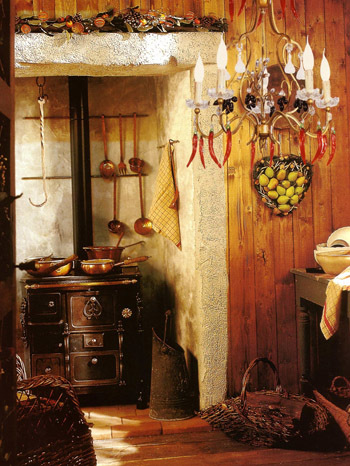 Or a peperoncini and olives chandelier set in a kitchen for real cooks, makes you want to tear one up from the chandelier and spice up the food. I call this “the art of flavoring light” and flavoring life too. This kind of chandeliers are playful, colorful, tasty and of course they can be placed outside common places. How about installing the peperoncini and olives chandelier over an outdoor kitchen, under a pergola from which grapes are growing? Can we set the green apples and figs lighting fixture in a covered outdoor room, filled with récamiers and comfortable seating? Of course we can, it would be such a bucolic scene, your friends would forget to leave. 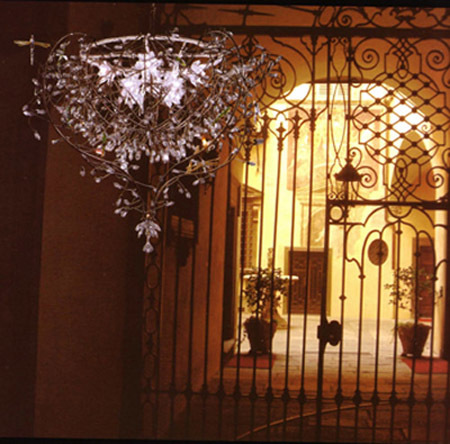 The dragonflies and fireflies chandelier unusually set in courtyard entry, as in the photograph, is a prelude of elegance and playful classicism. The chandelier is very modern, but the background is not and they communicate beautifully with each others. 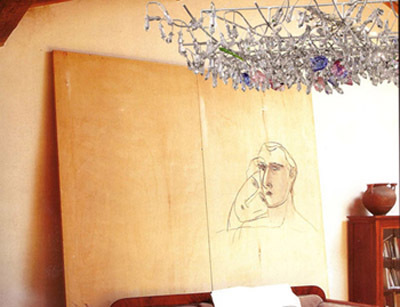 Another artistically beautiful example is the “flying carpet” chandelier, good for the bedroom to fly out with your fantasy, or for the art studio, or office to boost creativity and add that “je ne sais quoi” of interest. Each glass piece of these chandeliers are hand blown and assembled by hands. A few artisans in the world are still caring to produce spectacular pieces of art, regardless of market trends. The artistry that goes into each piece of lighting takes countless hours of work, especially for the details, but at the end, these light fixtures will sparkle your days, play with your emotions and add a special flavor into your illumination. Valentina Cirasola is an Italian Interior & Fashion Designer, working in the USA and Europe. She loves to build new homes and any new spaces. She loves to remodel and love to turn ugly spaces into castles. Her dream and ambition is to design and create. Valentina is also the author of Come Mia Nonna – A Return to Simplicity and a forthcoming book on colors coming on the market in Spring 2010.